The Action Ranges at TCSL allow you to design and shoot custom scenarios involving multiple targets and props in a safe, controlled fashion. All TCSL Range Rules apply. There are 5 bays that together make up the Action Range, arranged from South to North starting at the Pistol House. Bay 1 is directly behind the pistol house and can only be used for events or when the pistol house is closed down. Bay 1 is a wide, deep bay and can fit the largest scenarios. Please speak with a TCSL Range Officer before attempting to use Bay 1. Bay 2 is directly outside the pistol house heading north. It is the smallest bay and often has a plate rack installed. 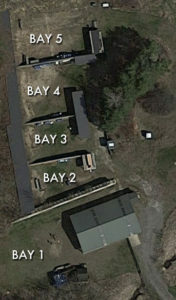 Bay 3 is directly to the north of Bay 2 and is a medium-sized bay with a little more space than Bay 2. It also will sometimes have a plate rack installed. Bay 4 is directly to the north of Bay 3 and is a wide, shallow bay. It is good for more complex scenarios. Bay 5 is the last bay and is the second largest bay. It is normally closed for general use. Please see a TCSL Range Officer if you have questions about Bay 5. Before venturing down to the Action Range ensure that you have eye and hearing protection. Shooting can start inside a bay without warning, so don’t get surprised when the Action Range goes hot! Open Carry of pistols is allowed on the Action Range. See TCSL Club Rules for details. Drawing from a holster is only allowed on the Action Range under the direct supervision of a Safety/Range officer. Moving while shooting is only allowed on the Action Range under the direct supervision of a Safety/Range officer as part of a scheduled event. All bays are first come, first served except for reserved club events. Events include Bowling Pin shoots, IDPA matches, steel plate matches, and other shooting events. Please check the calendar before coming to the range to ensure the Action Range is available. Each Bay contains target stands, sticks, barrels, walls, and other props. You are free to use barrels, target stands, and sticks to construct a shooting scenario – just be sure that all props are torn down and put back to make the range ready for the next person. Walls and other large props may only be used as part of a scheduled event. When shooting steel targets, please remember to observe a minimum safe distance of 10 yards. Full coverage of the safety issues involved in shooting steel targets is beyond the scope of this document – please speak with a Range Officer if you have any questions. The plate racks are the only steel targets that should be used outside of a scheduled event. See our TCSL Club Rules for details on Open Carry and carrying your firearm in a bag or case. Target placement is very important in helping to ensure the bullets stay contained within the TCSL property. All targets must be placed in front of the proper backstop. On the Action Ranges this means the earth berms. Targets should be placed as near to the berm as possible. The shooter may vary the distance by moving their firing position closer or farther from the targets. However, in no case should the shooter’s firing position be beyond the wooden walls. Targets should be placed no higher than eye level of the shooter. Remember that “eye level” is determined by the shooter height AND shooting position. For example, if targets are set for being shot from a standing position, and then the shooter decides to shoot from seated, the target MUST be lowered to reflect this lower shooting position. This target placement is important in ensuring that the bullets impact the berm and not the ground or over the berm. On the Action Range, there is an option to shoot a plate rack. The rack has been set into a location closest to the berm and a shroud has been placed overhead. It is important that the shooters DO NOT move these from their position. The placement is set to allow for the most efficient containment of splatter from bullets impacting the plates. Also, it is important that the shooter be no closer that 10 yards to the plate rack. This is approximately the distance of the reset pull cord. The purpose of this distance is to reduce the shooter being hit from splatter. Finally, with regard to the plate rack, it is designed to fall from the hit from ONE bullet. DO NOT DOUBLE TAP the plates. Doing so causes the second hit to strike while the plate is in a falling position ant the splatter may not be contained by the shroud. Thanks for taking the time to read these reminders. If there are any questions you would like to pose to the Safety Committee, please feel free to contact Tom Lewandowski via email at safety@tcsl.org. Shotgun shooting in the action bay is restricted to Bay 3. Before first use, get brief from TCSL range officer and refer to picture of setup. No specialty or custom loads are to be used on the defensive shotgun range; examples of specialty loads include but are not limited to: rounds that fire any type of flame, acid, or secondary explosive device, nails, coins, etc. Hearing and eye protection is required to shoot on the defensive shotgun range. 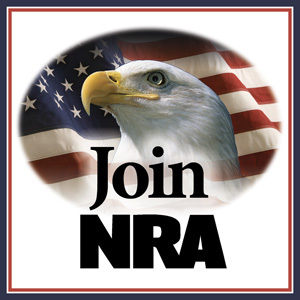 The action of all firearms must be open (see “Shotgun Rack” for exceptions) and chambers and magazines empty of any shells, live or fired, at all times unless on the firing line. When walking to and from the firing line or changing stations, firearm should always be pointed down at the ground. When placing a shotgun in a rack, semi-auto or pump-action shotguns must have their actions open; break-open shotguns (side by side, over and under, or single-shot) may be closed; however the chambers must be empty. Firearms should always be pointed either down range or down at the ground when on the firing line. *Shotguns are able to shoot a variety of ammunition too numerous to name. Please keep the safety of yourself, your target, and what’s beyond your target, and members who will using the bay after you, in mind. PCC shooting in the action bay is restricted to Bay 4. Before first use, get a brief from TCSL range officer and refer to picture of setup. Only Pistol Caliber Carbine’s (PCC) chambered in common pistol calibers are allowed on the range. Supported calibers include all pistol cartridges smaller than .45 caliber and all rimfire cartridges. PCC’s must be used in semi-automatic mode, full automatic is not permitted. Hearing and eye protection is required to shoot on all TCSL ranges. Safety must be engaged until you are at the firing line and ready to fire. The action of all PCC’s must be flagged with a highly visible chamber safety flag and the action should be open, with no magazine inserted, except when on the firing line and engaging targets. Slings may only be used when on the firing line and while engaging targets. PCC’s should be brought to the firing line bagged and only unbagged on the firing line. PCC’s may be placed in racks at the range. The action must be flagged with a highly visible chamber safety flag and the action should be open. The PCC may be placed in the rack with the muzzle pointed up. When placing the PCC in the rack, you should hold the PCC in one hand and place it in the rack.